My guest today is Jennifer Bohnhoff, the author of several works of middle grade historical fiction. 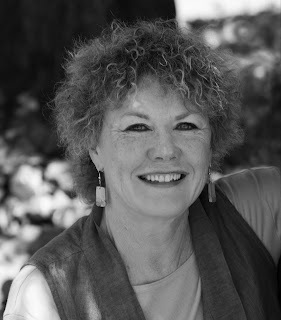 Her next book, Valverde, is set in New Mexico during the Civil War and will be published this spring. Most middle school readers wonder if they were adopted. Some actually revel in it: who are these people, and why can’t they understand me? Clearly my own people are elsewhere. Middle grade readers are going through so many emotional, physical and psychological changes that it’s not surprising that they are drawn to books about other children who don’t know who they are. Here are a few suggested books with this theme. Charles Dickens’ Oliver Twist is the classic novel of mistaken identity. Originally published in monthly installments between 1837 and 1839, it tells the story of an orphan born in a workhouse in 1830s England. Oliver leaves the workhouse when he is nine years old and apprenticed to an undertaker, but runs away and finds himself in the company of a troop of pickpockets. Through a series of interwoven circumstances, the kind that only Dickens could have created, Oliver’s identity is eventually revealed, and the orphan boy goes from rags to riches and takes his rightful place in the kind of generous and loving family that every middle school child wishes he had. Jip, His Story, written in 1996 by the Newbery-winning American novelist Katherine Paterson, focuses on another orphan, this time a 12-year-old. Set on a poor farm in Vermont during the 1850s, it tells the story of a baby who supposedly fell of a cart and was never retrieved. He is called Jip because his dark skin color made people believe he was a gypsy. Despite the hard work and difficult conditions, Jip gets along well with the other workers on the farm, many of whom are mentally ill, and he enjoys working with the farm animals. But when a man shows up and begins asking questions about Jip’s background, it becomes clear that Jip is no gypsy, and his real identity puts him in grave danger. 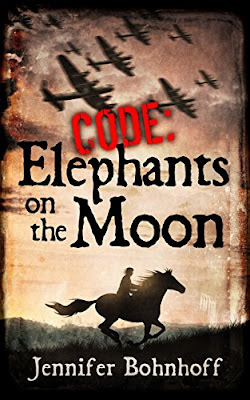 The main character of my historical novel Code: Elephants on the Moon may not be an orphan, but she still doesn’t know who she is. Eponine Lambaol thinks she is the only red head in a town filled with brown-haired people because she is Breton living in a tiny village in Normandy, France. It is spring of 1944 and there are many things that Eponine doesn’t understand. Where is her father? Who is the mysterious cousin who has come to live with her and her mother? When Eponine finds her mother and cousin listening to strange announcements on a forbidden radio, she realizes that nothing she’s believed about herself is true. 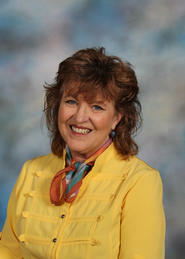 Learn more about Jennifer Bohnhoff on her website. You can purchase Code: Elephants on the Moon on Amazon, Barnes and Noble, and other online retailers. We do love a touch of satire on Jester Harley's Manuscript Page, so it's a pleasure to have J.L. Newton with us today. 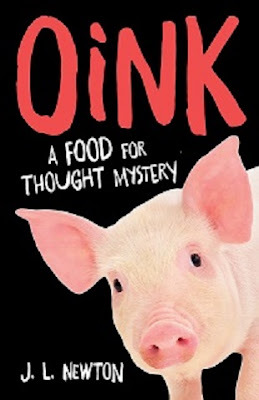 The target of her humorous novel, Oink: A Food for Thought Mystery, is the world of universities. She wrote a very interesting piece for us about how the environment in your novel's setting can be far more than a backdrop. In writing Oink, a humorous send up of the university for its increasing devotion to self-interest, competition, and profit, I also wanted to emphasize the importance of values that are less about profit and more about the common good. I planned to do this, in part, through my characterization of Emily Addams’s campus community. It is comprised of faculty in women’s and ethnic studies who have come together to support each other and to resist having their programs defunded by an increasingly corporate-minded administration. I wanted to do more, however, to engage the reader in positive feelings about community, and so I decided to suggest the interconnectedness of human and natural life in the very texture of the novel. To feel oneself in relation to the world of nature and to value the smallest forms of life are precursors to valuing human community as well. I decided that elements which appear as background—animals, plants, the weather, the seasons—could subtly enforce a feeling of interrelation. There are many animals in the novel, for example, both domesticated and wild, which just appear as the characters are carrying on their lives. As Emily drives to meet with the biologist Tess Ryan, who she hopes will have important information, “a single red-tailed hawk flapped twice, launching itself into air. The sight of a hawk’s glide always brought me to life, making me feel as if I too were capable of soaring.” Many of the characters also look like animals. The Chair of the English Department has a hound dog face which “seemed to sag into his tweed jacket.” The Vice Provost, with her long nose, resembles a hummingbird, and the greedy Peter Elliott, victim of the poisoning, is compared to a pig by another character—although the actual pigs in the novel are far more charming than he. I named streets after animals or native California plants—Wild Deer Lane, Coyote Court, and Badger Crossing, Poppy Lane, Ceanothus Drive—and I made the weather heighten people’s moods. Emily feels oppressed by the ninety-six degree heat as she realizes that, with the poisoning of Peter, something sinister has entered into the atmosphere at Arbor State. Later, she gets lost in a tule fog at night, making her feel even more depressed about her inability to discover the culprit. In all of this, I wanted to be accurate. I studied the birds and animals of northern California, and I worked with a weather calendar from October 1999, when the novel is set, to capture how the weather really operated that month in that year. Knowing what hummingbirds really do inhabit northern California made me feel the kind of attention to and connection with nature that I wanted to instill in my reader. I also set the novel at a time of year that would convey a message. Oink begins on October 11, 1999, in the midst of harvest and Indian Summer, and ends on November 1, El Dia de Los Muertos, which marks the coming of winter, the dying of leaves, and the diminishment of the sun, reminding characters of their own mortality. El Dia also celebrates those who have died, asserts the continuation of life, and demonstrates the power of communities to fortify their members against the forces of darkness and despair. In the context of conditions such as these— conditions in which we all live—Oink poses an implicit question: do we spend our lives in an individualist pursuit of profit, or do we work toward more communal ways of being? Learn more about J.L. Newton on her website. You can purchase Oink: A Food for Thought Mystery on Amazon, Barnes and Noble, and other online retailers. I can't believe it's been a year since Graika and Lerris Rhellog started their adventure to find their Human roots on the planet Soranen. I'm delighted that SPACE SURFERS was published by Alban Lake; nearly 20 of my short stories have appeared their various magazines, but this was my first book for them. Teenage siblings Lerris and Graika of the planet Soranen want to go into outer space, an act forbidden by their people, the Sor. The Sor, it is believed, are the descendants of the Ellarisor and the Humans, now both extinct on Soranen. When Lerris surfs above the clouds in his minijet, he spots a vessel owned by Lorfallin, a chemical magnate. The ship is spraying a green mist that, it turns out, causes a disease which affects those with Human ancestry, including the siblings’ father. 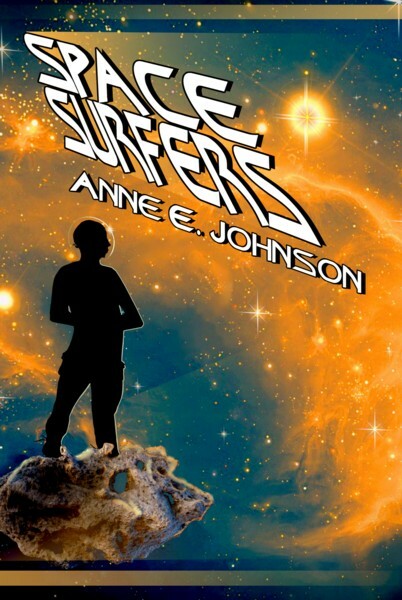 Would you like to win a print copy of Space Surfers? You must have a mailing address in the U.S. (international postage is soooo expensive!). I'd love to share Graika and Lerris' world with you. Please share this contest with your friends. Entries open until Wednesday, February 8 at 11:59 pm Eastern. I'll announce the winners here the next day. I am pleased to welcome Lisa Marie Latino, whose novel Ten Years Later offers the story of a woman who discovers her strength and adaptability. Ten Years Later is about a girl that most people, especially millennials who are trying to find their niche in the “real world,” can relate to. We first meet Carla D’Agostino while she’s in the throes of a major quarter-life crisis. To add fuel to the fire, she realizes her ten-year high school reunion is fast approaching, and her frustration multiplies when she starts comparing herself to her “more successful” peers. Ten Years Later follows Carla throughout her year-long journey of “perfection” for the big night, and we see the highs and lows of what that entails. I went through various periods of self doubt in the years after college. I, too, was single, still living at my parents’ home, and went through some very trying times that all entrepreneurs do while forming their own businesses. As I opened up to others about my frustrations I realized that nearly everyone, no matter their circumstance, was dealing with the same insecurities. That theme-- visions of what one thinks life SHOULD be versus reality-- really inspired me, and since I've always wanted to write a book anyway, I channeled that angst into writing Ten Years Later. A lot of readers assume Carla and I are the same person because we share a similar background and common interests; we're both New Jersey-based sports fans that are of Italian descent. Obviously, I drew on a lot of my life's experience in shaping a relatable fictional character, but Carla has her own set of unique circumstances that represent the plight of driven millennials everywhere trying to claim their stake in the world. The book was originally written for millennial women in their 20's and early 30's who are struggling to find their way; I wanted Ten Years Later to be their beacon of hope and motivate them to accomplish their heart's desires. But as I’m getting to know my readers, I’m realizing that they come from all walks of life. High schoolers to middle-aged men have read and loved the book because any one of its given themes has resonated with them. To write a book that can touch a wide variety of people is very fulfilling. Carla D'Agostino is not your typical heroine. Stuck in a seemingly dead-end job, single, and still living with her overbearing Italian-American parents, Carla is thrown for a loop when she realizes her ten-year high school reunion is fast approaching. 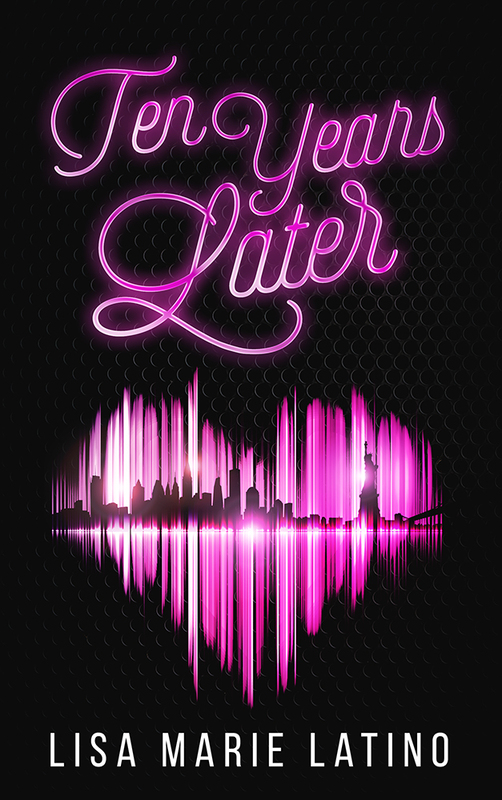 True love, a career as a sports radio talk show host, the perfect body--every dream remains frustratingly out of reach no matter how Carla strives and schemes. Out of reach, that is, until unexpected events lead her right back to where she started, and Carla discovers that all she ever wanted was right in front of her the whole time. "Ten Years Later" is a witty, unpredictable tale of one ordinary young woman's race for the top as she throws caution to the wind and decides to go for her dreams. Learn more about Lisa Marie Latino on her website or follow her on Instagram as @LisaMarieLatino. Ten Years Later is available in paperback and as an ebook.